I havent been able to find another post like this one so I decided to share my experience so far. I bought a 2015 i30 SR in September of 2015. 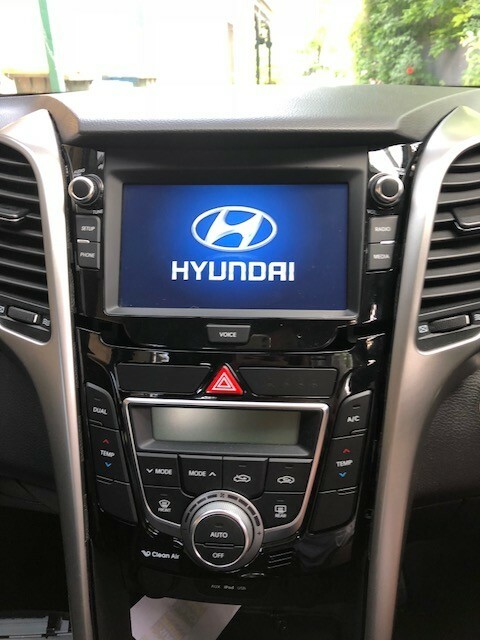 A few months later I came across news of the update being offered to eligible i30 owners with the GD-03 unit that would allow them to use Apple CarPlay and Android Auto. I immediately sent Hyundai an email to see whether my Navigation model was included in this update.....It was not. At this point the seed had been planted. I came across this forum and soon after bought a GD-03 unit. My intention was to swap out my Navigation unit for the GD-03 unit. The biggest reason was because i wanted CarPlay so that my phone would be better integrated into the car. Secondly, I don't like having a GPS unit with maps that are 6 months to a year out of date CONSTANTLY and then require updates (which would cost me money after 3 years, and thats not including the $$$ subscription required for the traffic updates via SUNA) which again are out of date from the time they are uploaded to the unit. So here is my install guide / journey. 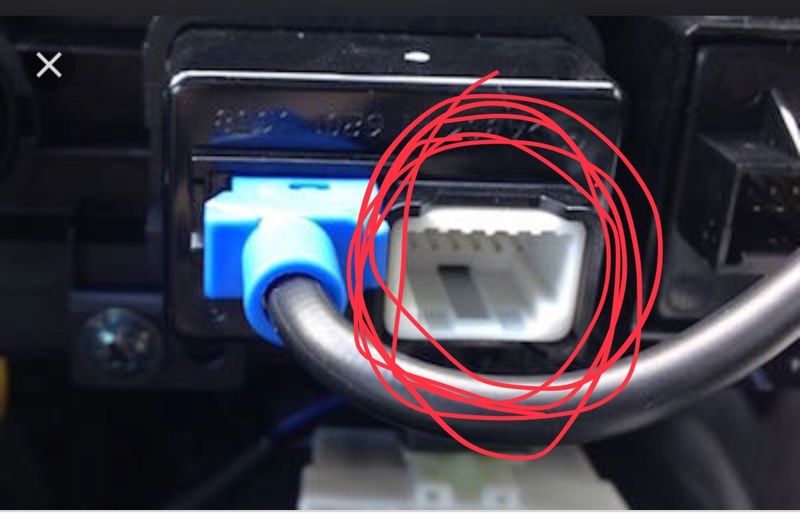 I will not be showing how to remove the trim etc as this has been discussed before. I will be showing the steps necessary to install the GD-03 into the place of the Navigation Unit. Next, note the white rectangular plug directly to the right of the aerial plug. 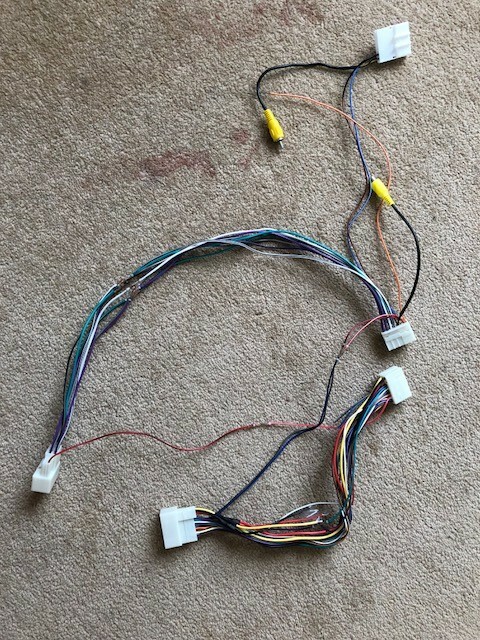 This is the reverse camera connector which contains 4 wires as follows. Pay attention to the information on the right side of the image. Pin 12- CAMERA_CVBS - (CVBS stands for Composite Video Blanking Sync) This is the 'image' from the reverse camera. Pin 10- CAMERA_B+ - This is the positive wire to supply power to the camera. Pin 22- CAMERA_PGND - This is the ground for the pin 10. Pin 12 and Pin 24 are related. Pin 12 is the video image being sent to the head unit, Pin 24 is the ground wire for the video image/wire. Pin 10 and Pin 22 are related. Pin 10 is the positive from the car battery and Pin 22 is the ground for this. The following is the female connector, the connector on the backside of both the Navigation unit and the GD-03 unit. 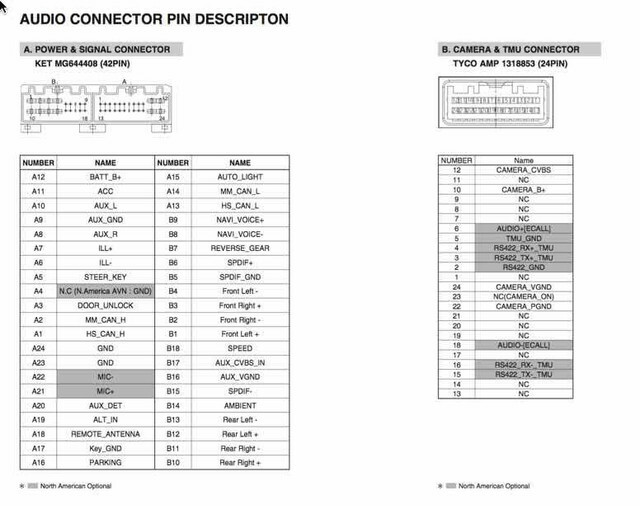 The following image is the pinout of the Navigation unit. The following is the pinout of the GD-03 Unit. Focusing now on the Navigation unit pinout, i moved the reverse pin (Pin A7; Reverse_Gear) to the GD-03 pin (A9; Reverse). Here is the issue i now face. 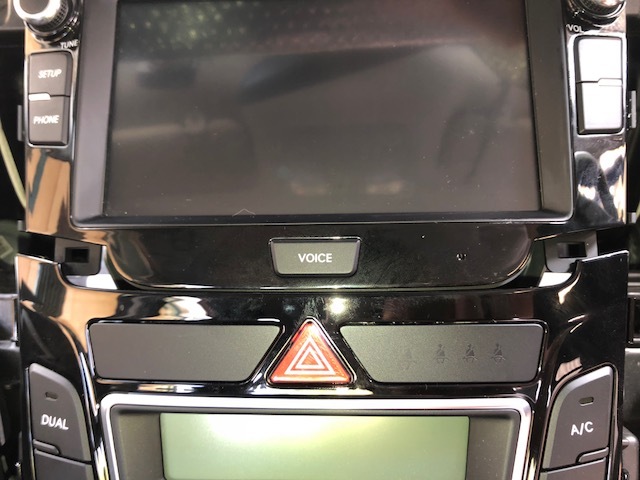 When i put the car into reverse i can hear the reverse camera raise the Hyundai logo on the back of the boot lid BUT the GD-03 unit will not activate reverse mode to display the image from the reverse camera. THe GD-03 unit remains on whatever screen / display it is currently displaying. I have noted that the reverse pin (A9) on the GD-03 units i have seen in this forum have a wire color that is yellow. The reverse pin (A7) on the Navigation unit is black with a brown stripe on it. Something tells me that the GD-03 unit is not receiving the correct voltage to switch over to the reverse mode and display the reverse camera image. Can anybody confirm this for me? The next problem was again to do with the different pinouts of the Navigation unit and the GD-03 unit. The sound that was coming out of the speakers when I plugged in the GD-03 unit was 'wrong'. This was due to the difference in wiring. 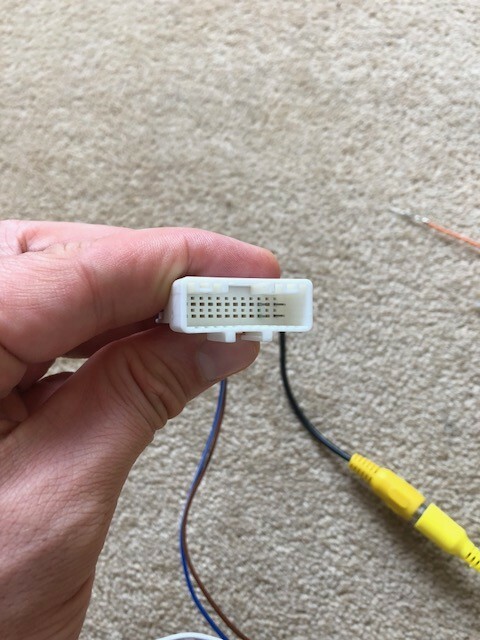 I solved this issue by depinning (shove pin into connector and removing cable) and then changing location of the wire to match that of the GD-03 unit. So now the sound is working correctly. The next step was to relocate the wires for the steering wheel controls (volume + -, Mute, Mode, Answer call & Hangup call). Hint: Even with the pins swapped over these controls do not work. I can only assume that the signals (or drops in voltage or change in resistance)- whatever the ECU/BCU/Head unit uses to identify what button is being pressed is different to that has been programmed into the GD-03 Unit. That is to say, the steering wheel buttons designed to work with the navigation unit are sending the wrong signal to the GD-03 unit and as a result the GD-03 unit does not respond to the button presses. Pin B5 (Steer_Key) changed to B4. 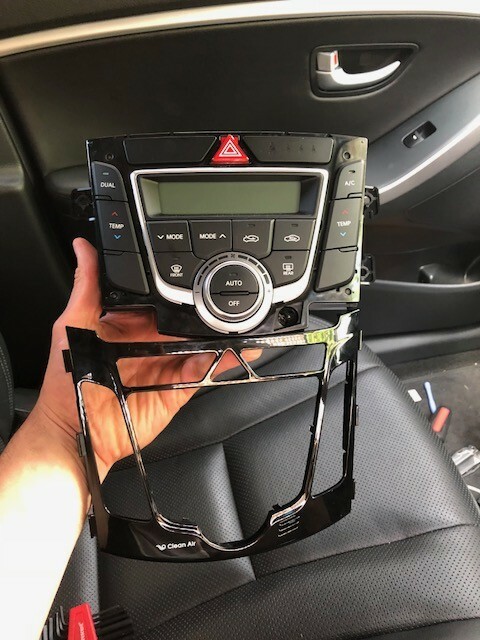 There is an issue of fitment when replacing the Navigation unit with the GD-03 unit. Note the façade gaps between the GD-03 unit and the aircon control unit. Fantastic write up, please keep us updated on how it goes. Thanks for being the guinea pig! Does anybody know what voltage the GD-03 unit uses to activate reverse mode on the A9(reverse) pin? Or if it uses something else aside from a voltage, like a code or similar? The reverse wire from the navigation unit does not activate reverse mode on the GD-03 and I’m stumped at the moment. I cannot detect any voltage being fed through the when I put the car into reverse. My only other option may be to feed a 12v voltage from the 12v outlet located beneath the unit in order to activate reverse mode. 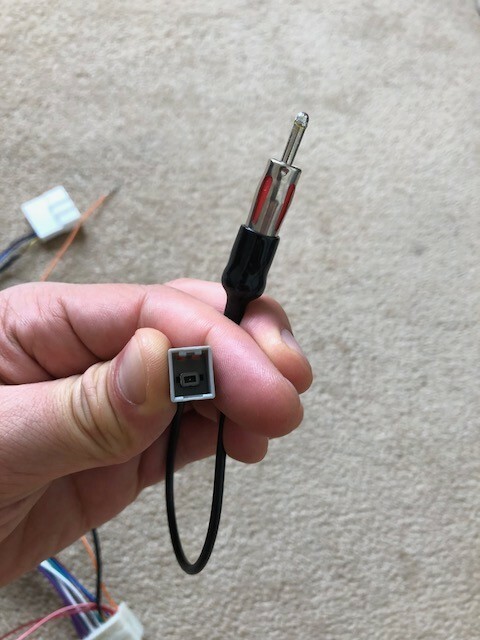 My only worry is that I know the reverse camera runs on 6v and not 12v. I don’t want to fry anything. So I bought a wire harness (female to male) which would allow me to plug it into the existing factory wiring loom. 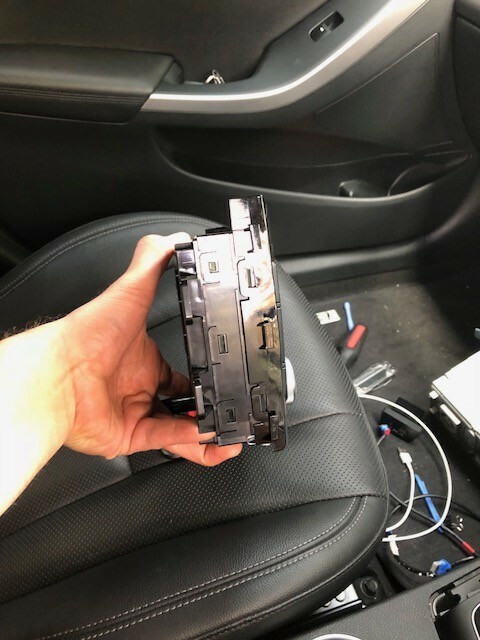 The advantage of this harness is that I can cut and splice wires without affecting the factory wiring as well as allowing me to put the Sat Nav head unit back without any modification or damage. and added a RCA video output as well as an RCA video input and wired them up with the power and the reverse input / detect wire. I bought an adaptor for the aerial from super cheap auto and that solved the radio issue. At the moment I'm going to pick up a façade for the air con unit which will fix the gap between the GD-03 unit and the aircon unit. Very happy with the result and it looks factory which was the most important thing to me. And even more important is the ability to switch back to the factory sat nav unit should Hyundai crack a hissy fit over my modification. Awesome work, can't wait to see the finished product! Thanks @GreyBanna for that tip and photos. First of all, Hi all! I am new here, with an i30 series II (2016) in Spain!. Secondly, thank you very much for this post @GreyBanna. I think I am going to be the guinea pig here in Spain! 1) here in Spain, our steering wheel is in the left hand side. it would be any problem in getting the GD-03 from Australia? I mean, any problem connections with the steering wheel controls? 2) I use a lot the FM radio integrated in my navigator head set, if I manage to install the GD-03 from Australia version, any problem regarding frequencies of FM radio here in Spain? Are they different? 3) As you @GreyBanna, I have the navigation unit, with the dual air condition unit (with the display) as you have. My colleague here have the same condition unit but no navigation unit, just the basic one, in which the plastic shell is a litlle bit smaller in shape and then, completely compatible with the GD-03. I will try to pic a photo of this configuration, but I think it is only a change in the plastic shell of the air condition unit with a compatible one. UPDATED: I attached a photo, I think this is the plastic frame that we need to get for our change from navigation unit to GD-03. 4) Will I have problems with the GD-03 official updates? Since I will not have to access to a authorised dealer for the upgrades, it would be possible for me to get and install all updates from internet? As all people here, waiting for news in your progress. Hola, paisano. De que parte de España? 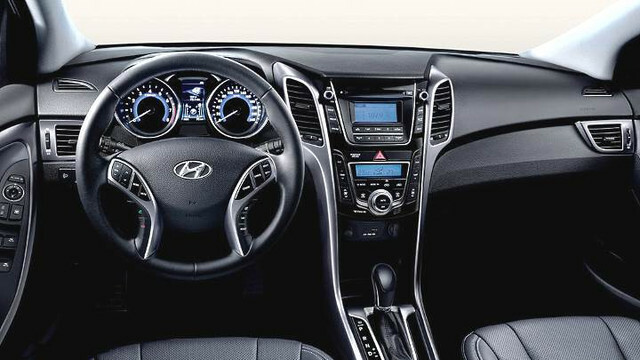 Since we drive on the other side, the console is angled towards the driver and this means that you have to source the unit to suit something like an American Elantra. I think FM frequency ranges in Australia y España are the same, 88-108 MHz. As for updates, I believe some members have been able to make them available here by link. Wey! Another Spaniard! Good to hear that! Soy Andalúz. Thank you very much for your replies. I have verify the console angle in my current model and I cannot appreciate any angle variation. Same view from pilot and copilot. I do not know if there is any difference internally. The problem with Elantra is that case and plastic frame are different from i30 and I think it will be more difficult to fit it. In addition I think I managed to get a unit in Australia easily. Sorry about not posting for a while. I finished university and got a job, which is now consuming all of my time. I’ve decided to replace the stock navigation unit. There was nothing wrong with the GD-03 except for the amplifier within the unit. The sound output (I couldn’t find a wattage output for both units) from the Navigation model compared to the GD-03 model was quite obvious. There is not enough power being output from the GD-03 to power the 6 speakers in my car to the same level as the Navigation unit. There was a large amount of bass missing (couldn’t not be provided no matter how I altered the EQ or loudness or either combination). It would be a different story if you had a subwoofer as the subwoofer would be able to provide the missing low end. And secondly, to get the reverse camera to work in my car required running a wire from the reverse light, through the plastic trim, along the headliner and through the rubber boot, into the boot, and then to the + of the reverse light. Unfortunately I don’t have time for this anymore. Other than that the GD-03 worked great; but could not provide the sound that I had become accustomed to (And I like my sound). Good to hear from you. Well done on the stereo and job front! The GD03 head units put out 50w (17rms) per channel, if not using high efficiency speakers like I did with the Morels you'll need an amp. 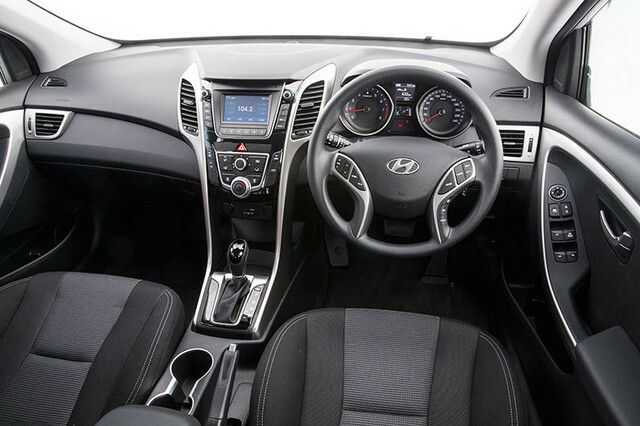 I'm keen to try this on my partners 2012 i30 with nav, but swapping it for a GD-03 unit with built in nav. I'm hoping that might cause less issues than the non-nav unit. Do you know what the GD-02 head units put out? If the GD-03 unit doesn't output enough it mightn't be worth it. Both 02 and 03 non navigation models are the same power, Not sure if sat nav units are the same you could call Alberts or similar and ask as they would/should know. 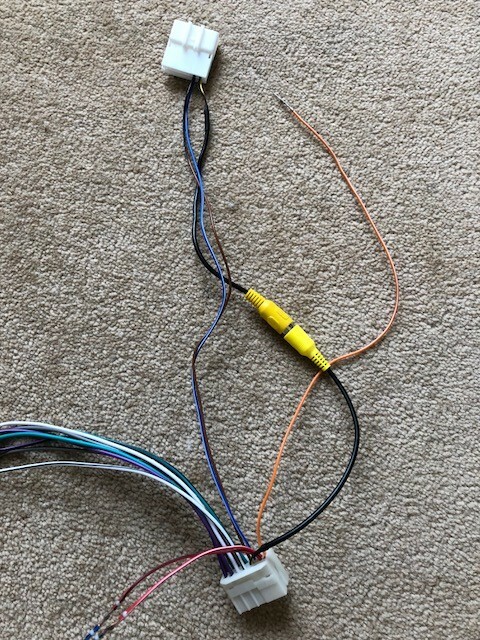 Does anyone know the part number for the aux wire? The original reverse motorized camera i put on mine (On Android unit) is for 12V, i dont know if yours is 6V due to being Korean built & mine Czech? Non navigation units have a different facsia to those with navigation, I’d expect the sat nav capable unit to also be mentioned on the rear sticker.